Guests at the Disneyland Resort have a few new choices when it comes to the Disney PhotoPass service. The Disney PhotoPass+ One Week option includes all PhotoPass pictures that are linked to a guest’s Disney account from seven consecutive days, plus Magic Shots and Animated Magic Shots. This package is $69. 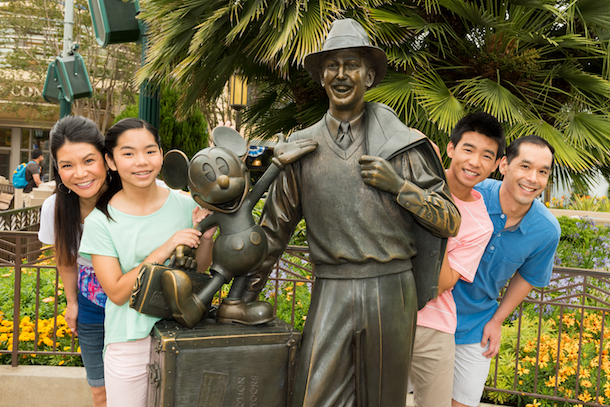 Guests who are visiting Disneyland for one day can purchase the Disney PhotoPass+ One Day option for $39. There is also the Disney PhotoPass Collection for $99 which includes digital downloads of all PhotoPass pictures, a voucher for a Dining Print Package, and a resort gallery disc with more than 350 high-res pictures. The Disney PhotoPass Collection + Disc includes a DVD disc with all PhotoPass photos, a voucher for a Dining Print Package, and a Disneyland Resort gallery disc for $119.